Late Winter Sunbath, Pastel, 6.5 x 9.5, 2017, framed in a 9 x 12 oak frame with a pure white mat. Digital, giclee and canvas prints as well as greeting cards are available. This was my painting from Day 16 of the September 2017 daily painting challenge. See more paintings in Leslie Saeta’s 30 Paintings in 30 Days Painting Challenge, September 2017. See other paintings in this and other painting challenges on the page Creative Challenges. 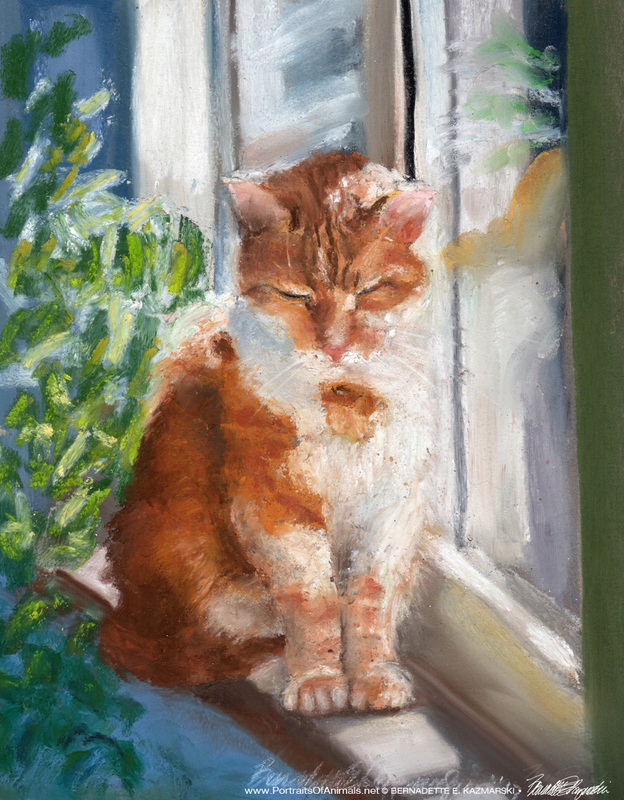 This entry was posted in 30 in 30, cat artwork, Challenges, feline artwork, original artwork, pastel, pastel and tagged animal artwork, cat art, cat artwork, cat sketches, cats, feline artwork, pastel, pastel painting, pastel paintings, winter on January 7, 2018 by Bernadette.